Shop the farmers markets in New York for farm-to-table freshness. From apples just picked from the tree to fresh local corn, tomatoes, and herbs, New York produce simply tastes better. Across the state, hundreds of regularly scheduled farmers markets and countless roadside farmstands present an ever-expanding variety of farm fresh products and other New York specialties. You can find fresh-picked fruits and vegetables grown on local farms as well as specialty foods created by local artisans. New York specialties include fresh-pressed apple cider, maple syrup, artisanal bread and cheeses, juicy grapes, and award-winning wines. Many farmers markets offer certified organic produce and pasture raised meats, poultry, eggs and dairy products. Wherever you choose to travel, remember to stop by the nearest farmers market to see what’s new. Central New York Regional Farmers Market in Syracuse, one of the oldest and largest in the state, represents more than 300 farmer-growers. The Public Market in Rochester, with over 300 stalls, has been operating for over 100 years. Farmers and local craftsmen sell fresh foods, ethnic delicacies, and Finger Lakes specialty items. Follow the Finger Lakes Cheese Trail to find a wide variety of award-winning cheeses and other artisan foods at dairies, creameries and farm stores in the Finger Lakes famous wine country. Buffalo&apos;s Elmwood-Bidwell Market, called one of the best in western New York by area press, has goods like smokehouse sausages, honey from local apiaries, regional wines, and dairy products. Don’t miss the Lake Placid Market in the Adirondacks. Vendors sell everything from organic cheeses to maple syrup from a local sugarworks. In the Catskills, Sullivan County Farmers Markets sell products like wild mushrooms, organic meats, heirloom tomatoes and fresh berries. 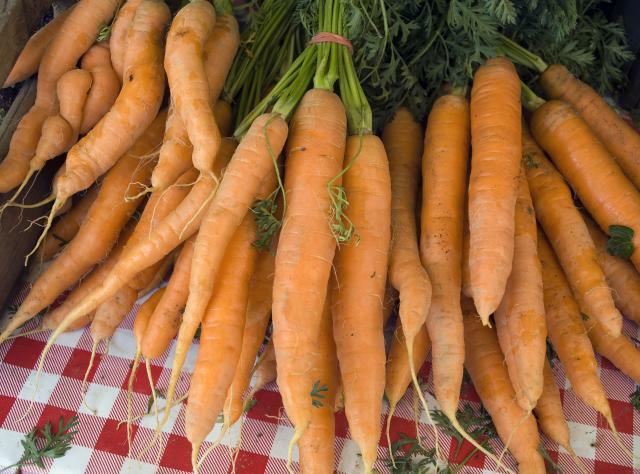 Rhinebeck Farmers Market features cooking demonstrations to showcase local products. Farm Fresh Tours in the Hudson Valley present one-stop-shopping for fresh produce, fruits, vegetables, cheeses and wines throughout the region. Also in the Hudson Valley, the year-round Beacon Farmers Market held on a ferry dock, features live music. Even New York City has its own farmers markets, with upstate farmers bringing in fresh-picked produce. The Union Square Greenmarket is one of the largest and most famous of many Greenmarkets in New York City. Don&apos;t be surprised to find your favorite celebrity chef shopping for ingredients there! Find harvest schedules and abundant information at Pride of New York, New York Wines, and the Farmers Market Federation of New York.